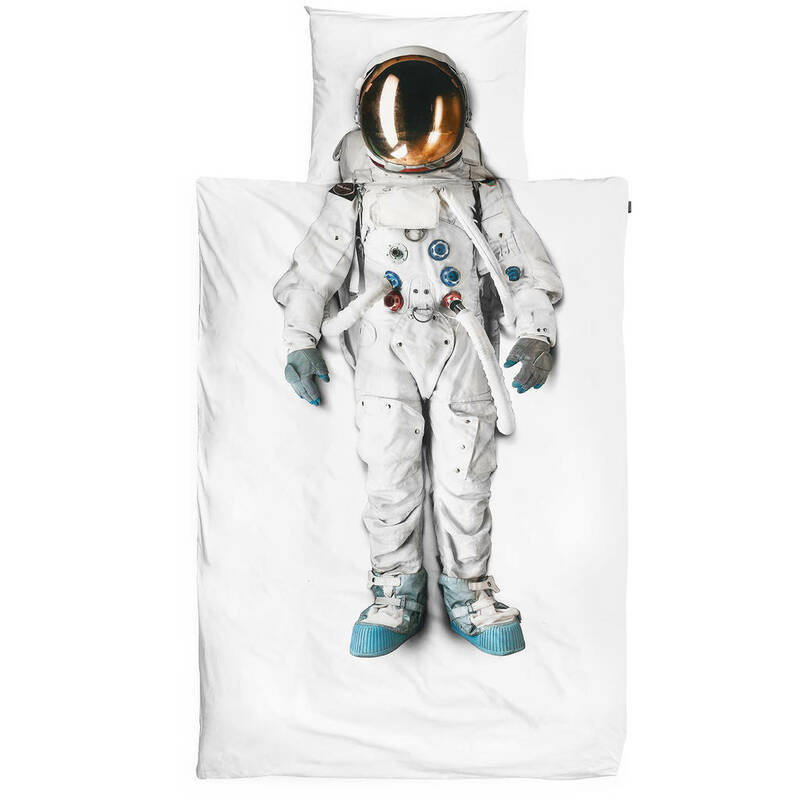 As seen on 'Get Santa' the movie, Snurk Astronaut Duvet Bedding Set is perfect for all children who dream of being an astronaut. 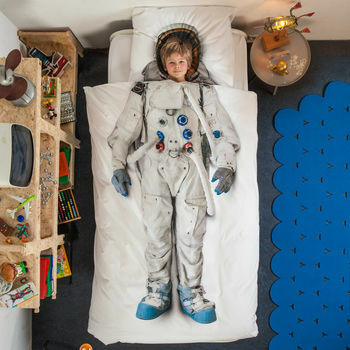 This Unique Bed Linen Set will enable them to transform themselves into a space astronaut and embark on their own adventures in dreamland. 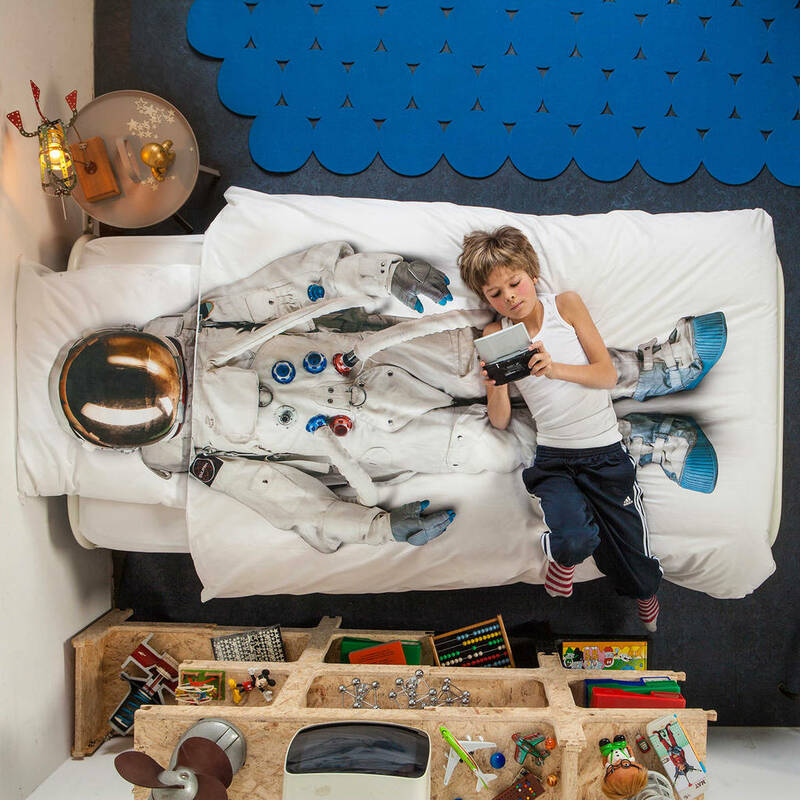 This luxury children's bedding set is the perfect gift for all little & big boys and girls. This duvet set gives you a chance to become your very own astronaut ready to zoom off into outer space. This product is dispatched to you by Cuckooland.